Six months of sharing my monthly favourites. I don't think I really knew just how much I would enjoy curating these come the end of each month when I began this little project back in January?! However, I'm finding the experience quite cathartic and I think this series works in tandem with my things that make me happy lists. I'm all about celebrating the good in my life no matter how much bad may turn up at my door...like a human equivalent of the 'this is fine' dog. That's me. 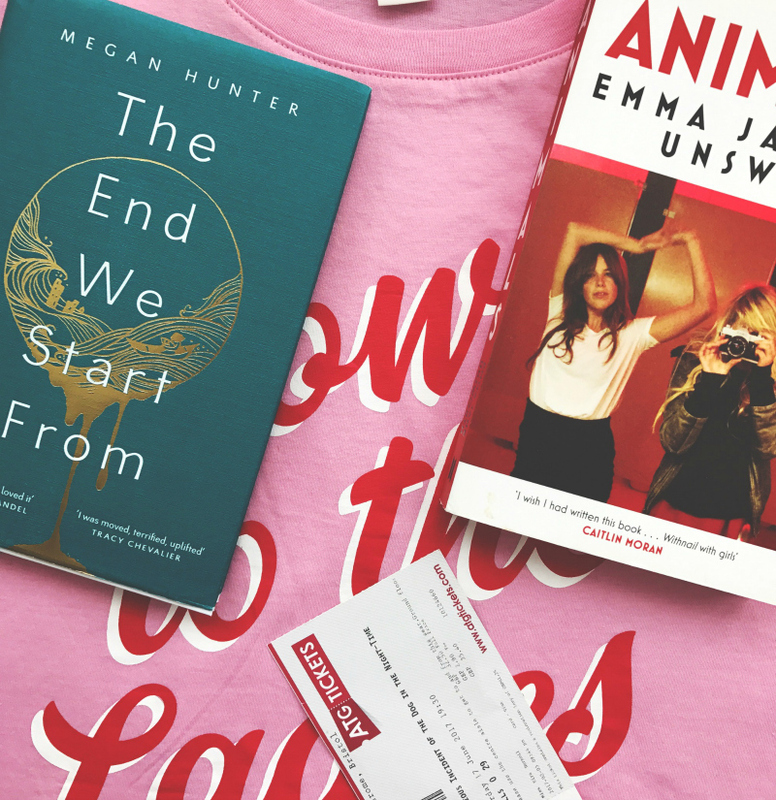 In June, I was coveting a few Netflix shows, a new t-shirt, and a couple of little adventures out of the house. 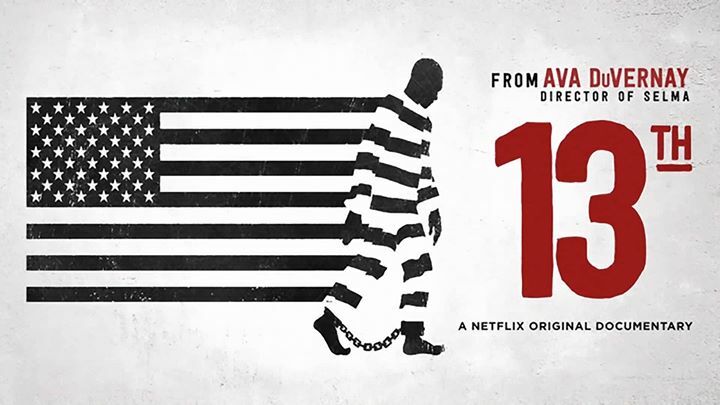 I recently watched Ava DuVernay's Academy-Award winning documentary, 13th. Clear, informative, heartbreaking, 13th made for informative and important viewing. Multiple activists, academics, public figures, etc, are featured in this film that discusses 'the intersection of race, justice and mass incarceration' in America and, therefore, I left the documentary knowing much more about chunks of history, particularly between the 70's and the early 00's, that I hadn't educated myself on. I'm going to go away and continue that education. Find it on Netflix. Watch it. Share it. Speak the names of all of the people let down by the system, let down by politicians, let down by us. Towards the start of the month, I packed up a cool bag or two, threw some of my favourite people in the car, and headed for the first picnic of the year. We held this one at Fyne Court, a local National Trust place, and had a really sweet couple of hours. We ate tiger bread sandwiches, took photos of all the beautiful flowers and watched as Poppy excitedly bounced around the woodland. It was also great to see Lyzi, my bff. If you want to see more photos from the afternoon, you can check out my Fyne Court adventure post. 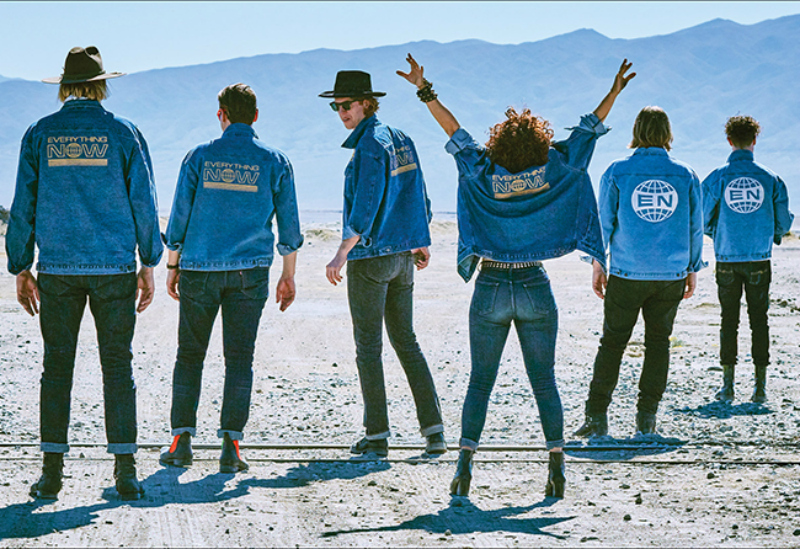 Arcade Fire are back! June saw the release of 'Everything Now', with its Abba / Send Me On My Way / Can't Take My Eyes Off Of You vibes, and 'Creature Comfort', with its punchy percussion and dazey hook that wouldn't have at all sounded out of place on their last record. I'm digging the new stuff so far so I'm looking forward to seeing what the fifth record is like in full. I wrote a post on 12 Arcade Fire songs you should listen to a few years back that you can check out if you're interested. I'll update it and clean it up a bit when I have some time on my hands. 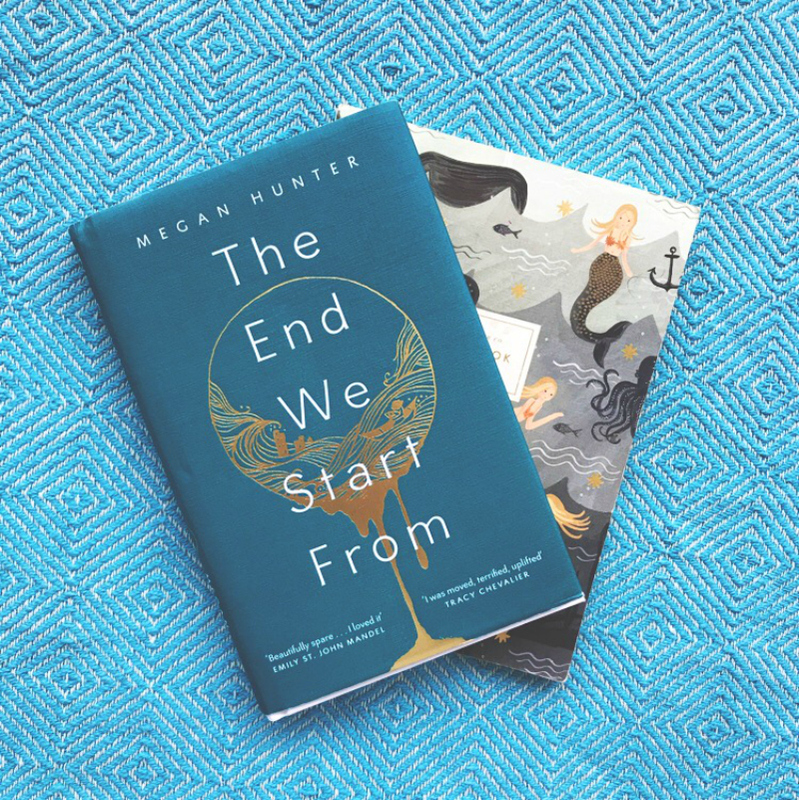 As I mentioned in my last TBR post, I felt compelled to pull this book off the shelf, after two years of ownership, following a recommendation from a friend. 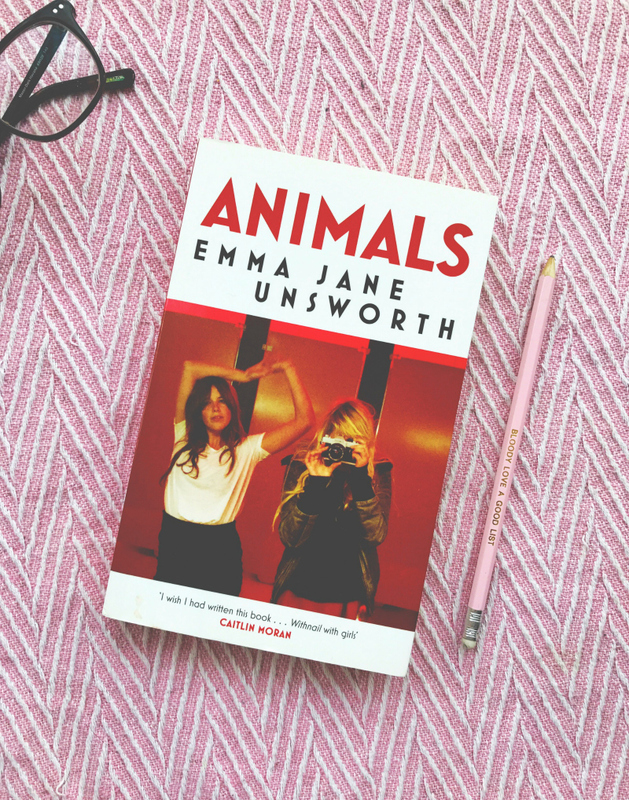 Animals exceeded my expectations entirely. My review will be with you in a week or so but, for now, just know that it ended up with a high rating. 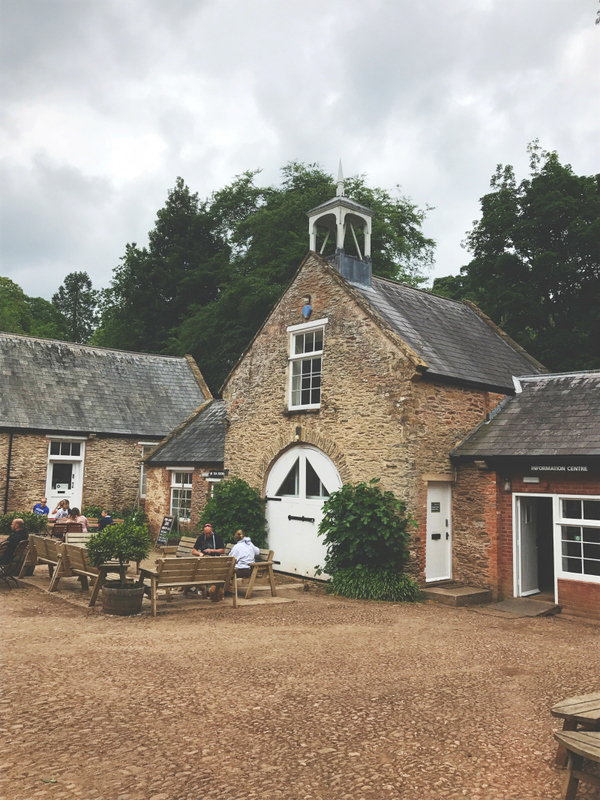 Back in February, as shared in my Favourites from that month, I went to a retirement party where I, for whatever reason, decided to drink alcohol for the first time in six years. Whilst I was drinking said alcohol, one of my best friends messaged me asking if I would like to go to the theatre with her in the summer and, me being tipsy, I said 'yeah sure, I'll take two tickets'. Naturally, I awoke the next day, checked my messages and spent the rest of the afternoon wondering 'why am I like this?' but the recklessness paid off. 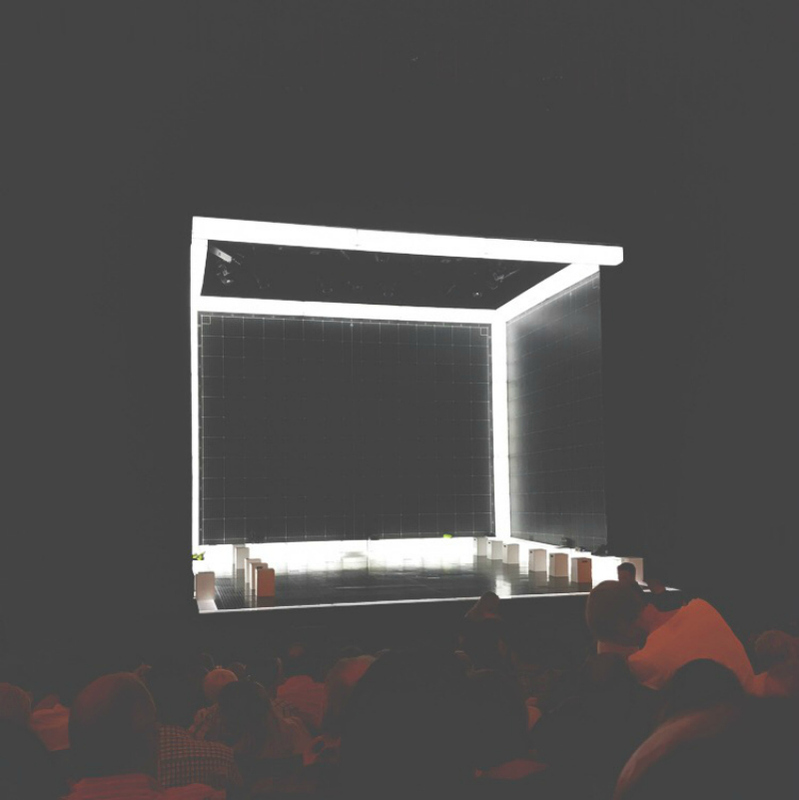 The other week, I found myself throwing a bowl of carbonara down me before rushing to the doors of the Bristol Hippodrome to watch The Curious Incident of the Dog in the Night Time. Pals, it was worth the carb-heavy indigestion! I absolutely loved it. The staging was incredible and Scott Reid put in a mind-blowing performance as Christopher. I came away from the theatre, as I always do, wishing I made more time to go and watch more shows. They're touring up and down the UK over the next few months and I highly recommend going to see it, particularly if you enjoyed the book. 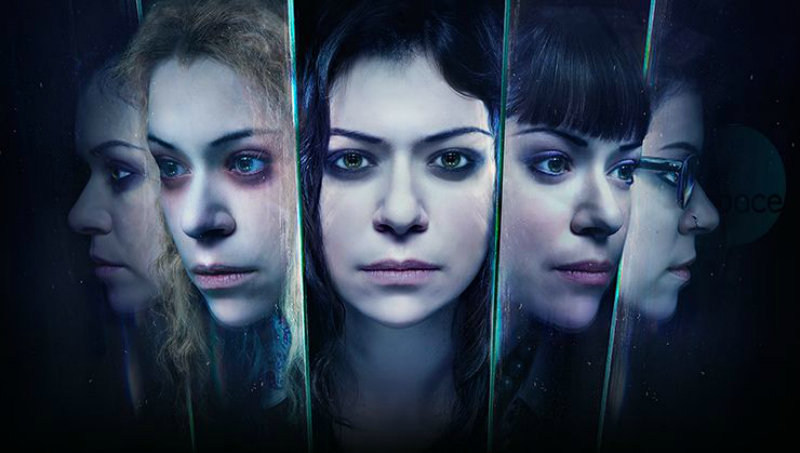 Orphan Black returned to Netflix this month with its fifth and final season and, whilst we are only three episodes in as I write this, this season is shaping up to be a goodun. What can I say? I'm still in awe of Tatiana Maslany and Kathryn Alexandre. I still want to be Felix's BFF. I still want an Alison and Donnie spin off. If you've yet to hop on the OB bandwagon, consider doing so. If you aren't even sure what it is about, here's a little synopsis: 'A streetwise hustler is pulled into a compelling conspiracy after witnessing the suicide of a girl that looks just like her'. Hop on board, pals. As soon as I found it sat on my doorstep, this captivating novella didn't leave my hands. My Twitter timeline had been full of buzz for The End We Start From and, in my opinion, rightly so. You'll find it in a book review post soon. Until then, you'll find it on my 'favourites' shelf on Goodreads...This was a five star read! Pick up a copy if you're already intrigued or wait a little while for my review. Either way, I doubt this compelling little book will disappoint. 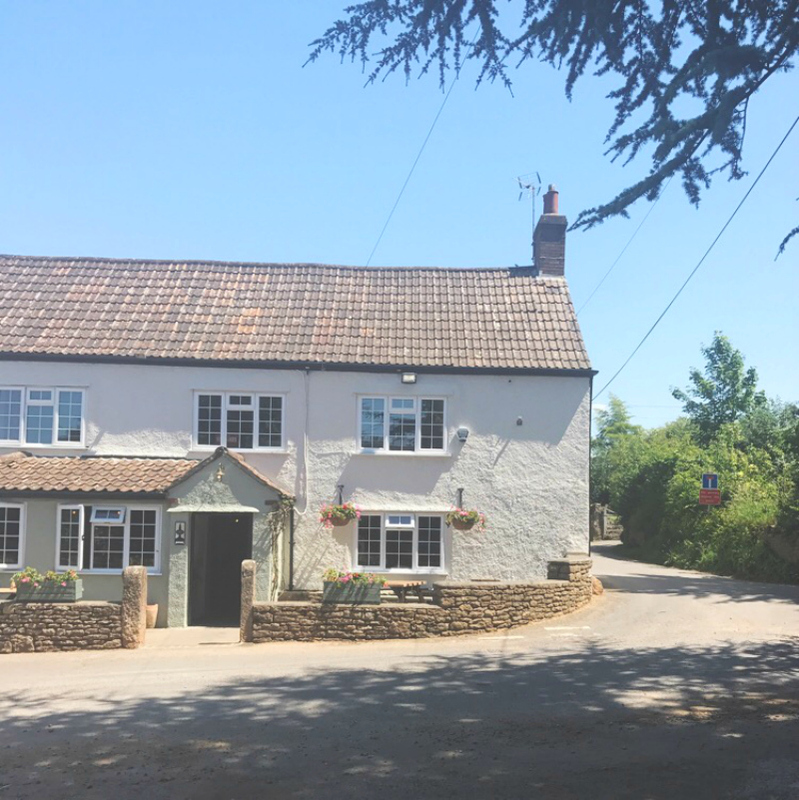 Father's Day cropped up on us and we decided to celebrate it with a Sunday Roast at one of our favourite local pubs. We took extended family and family friends and made a long summer's afternoon out of it. I'm still thinking about my dessert - honeycomb chocolate brownie with beer ice-cream. Hnggg. It was Poppy's first time inside a pub and she did extremely well so she was treated to a little woodland walk post-food. I, however, treated myself to a Southern Comfort and a bag of crisps. I do not do lengthy walks on hot days and neither should you. 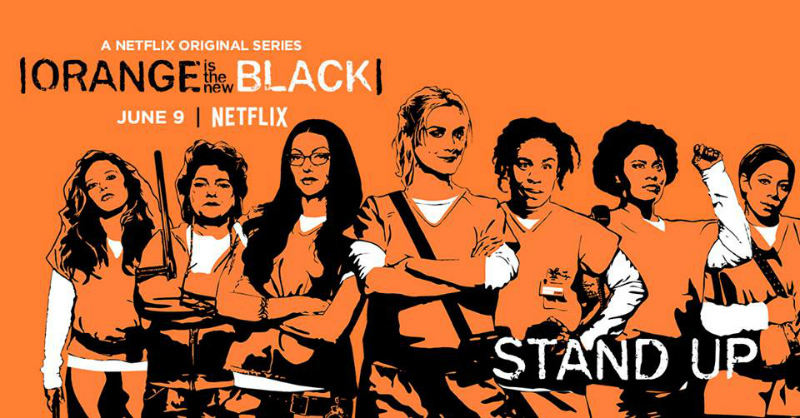 Orange is the New Black also returned this month and, whilst I was a little dubious before starting it due to the issues surrounding season 4, I actually really enjoyed it. This season picks up exactly where the last season finished off and it was incredibly tense throughout. I love Kohan's storytelling and I feel like this season perfectly balanced the wider socio-political issues with the personal issues of the inmates. Told over the space of a few days, I found myself binge watching episode after episode and I felt a bit bereft once it had reached its climax. Engaging stuff. 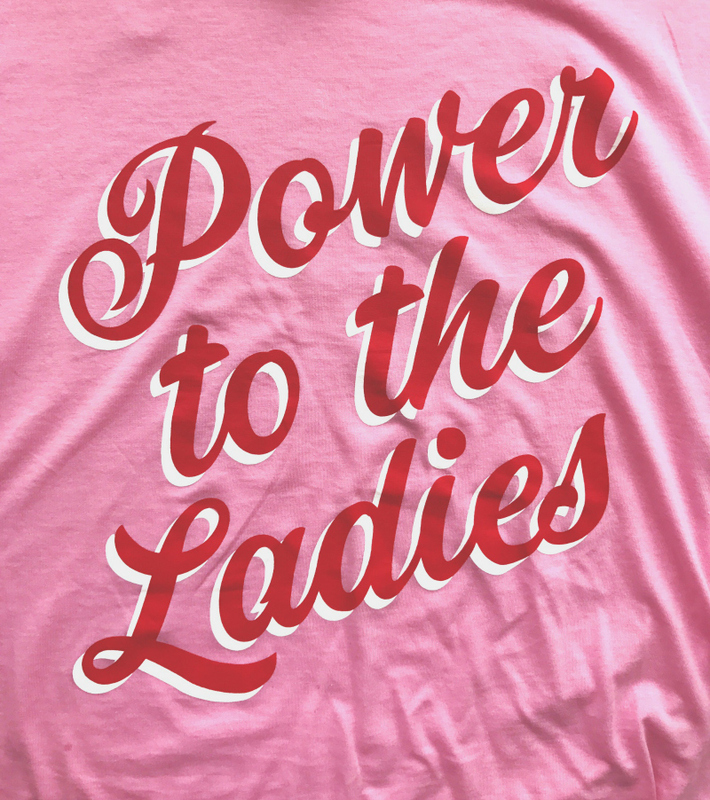 I placed a Monki order for something to wear to my birthday do next month but I couldn't resist adding this 'Power to the Ladies' tee to my basket. I've been wearing it with my loud vintage shirt and leggings as trousers because I literally give no fucks. • I recently started following Liv's booktube channel and it is great! • Independent Bookshop Week ran from 24th June - 1st July! 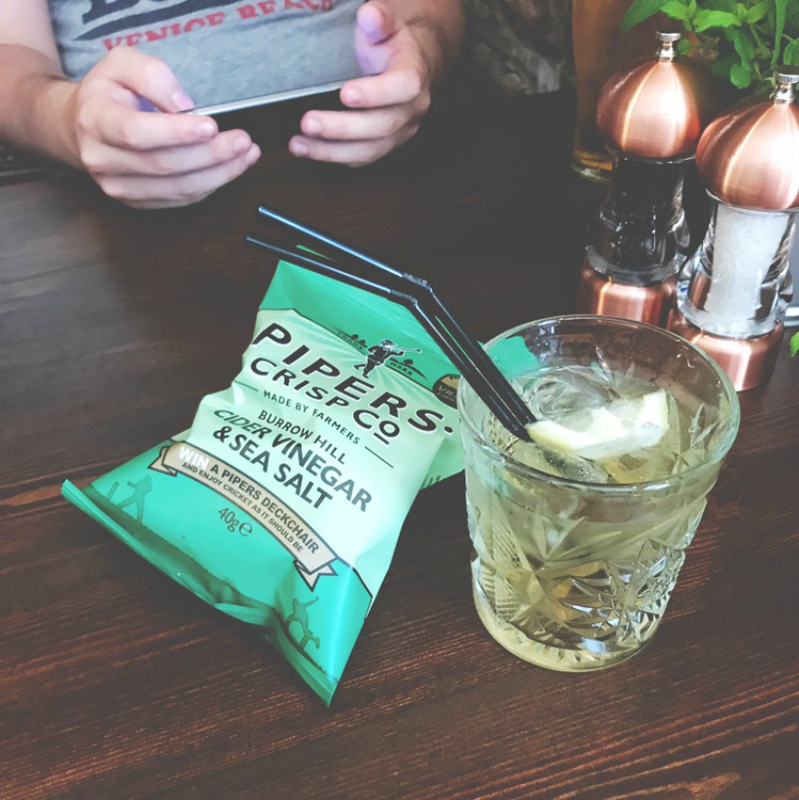 If you didn't get the chance to celebrate, there's always plenty of time to go out and support local indies! Give Books Are My Bag a follow for info on future campaigns. 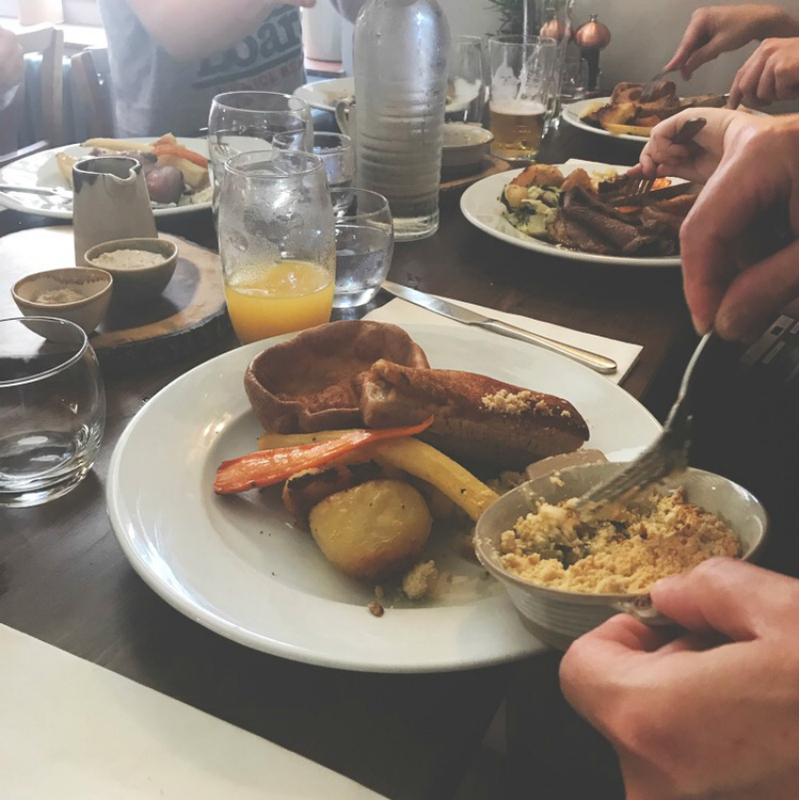 • Bethany (who basically lives in this 'Things Of Note' section now) shared a speech she made about her ideal cooked breakfast and it was fascinating. And those are a few of my favourite things! What have you been enjoying lately? If you'd like to, you can scroll through a selection of my other favourite things.